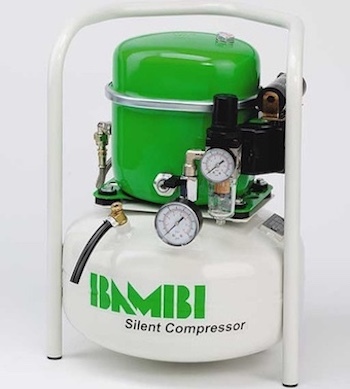 Compressed Air Centre is proud to be an authorised distributor of Bambi air compressors. 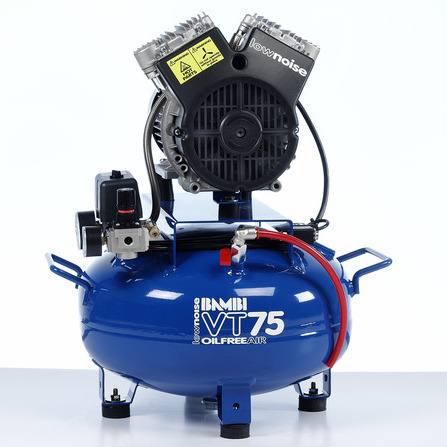 For smaller volume users of compressed air their range of reciprocal compressors offers outstanding peace of mind. They combine precision engineering and best-in-class reliability. Their products are small, light and simple to use. A number of their compressors can have wheels fitted in order to make moving them quick and easy. 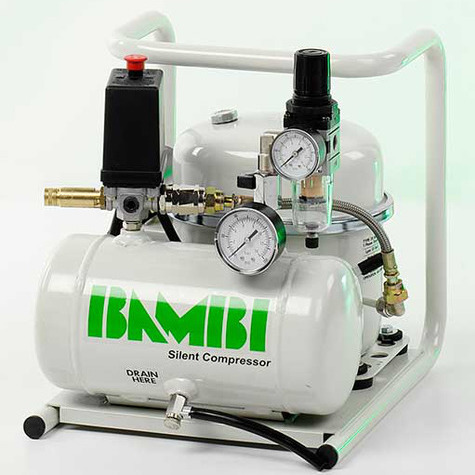 They offer a broad range of compressors. 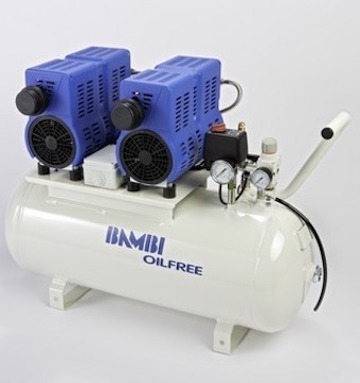 It runs from their budget range which is typically used for air-brushing, stapling and for exhibition stands through to their premium silent, oil-free dry air compressors which are used by dental practices, scientific laboratories, hospitals and the food and beverage industries. 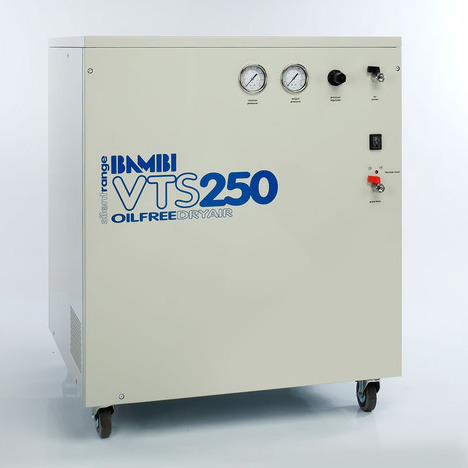 All of their compressors are designed to work from a 240V power supply. Food and drink, pharmaceutical, medical. Controls, hospital ventilators, food & drink. Air-brushing, stapling, pneumatic controls, glue dispensing.